Despite the couple of games that the Mariners and Athletics played in Japan last week, Major League Baseball is calling today the opening day of the season. As a lifelong fan of the defending World Series champions, the Boston Red Sox, I am excited for the start of the season. Where do Red Sox fans live? How far does the fandom spread? And what's the disbursement of fans for the other Major League teams? Those questions can be answered by looking at SeatGeek's interactive map titled Where do MLB Fans Live? Where do MLB Fans Live? is an interactive map that shows which teams are the most popular teams in each county in the United States. A few things found through the map were not surprising at all. For example, every county in Maine and New Hampshire the Red Sox are the most popular team. And a few things revealed in the map did surprise me. For example, growing up in Connecticut I always felt like the state was evenly divided between Yankees and Red Sox fans (with a few oddball Mets fans sprinkled in), but according to this map the state is predominantly a Red Sox state. There are a couple of flaws with the data interpretation on SeatGeek's Where do MLB Fans Live? The data is drawn from analyzing the behavior of shoppers on SeatGeek. So it is entirely possible that a team is more popular in a county than another but the fans of that team are more active shoppers. Another flaw is that the map only shows which team is most popular in the county but doesn't show how much more popular it is than another team. So it is possible that a county could be split 49% to 51% in favor of one team. Most statisticians would not consider that difference to be significant. I'm sharing this map because I think that it could be a good tool for introducing students to the nuance of data interpretation and manipulation. The map could also be used as a model for how to represent data through maps or through infographics. One of the questions that I am frequently asked revolves around selecting a platform for making a classroom website. There are two tools for that purpose that I recommend more than any others. 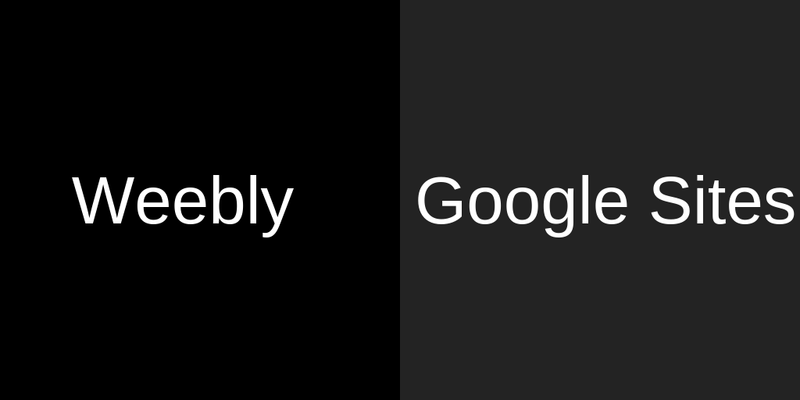 Those are Weebly and Google Sites. There are a few factors to consider when choosing which one is right for you and your students. In this post I'll highlight those factors to consider. Weebly has two product offerings that teachers can use. There is the standard or consumer version of Weebly that anyone can use. There is also a Weebly for Education product. 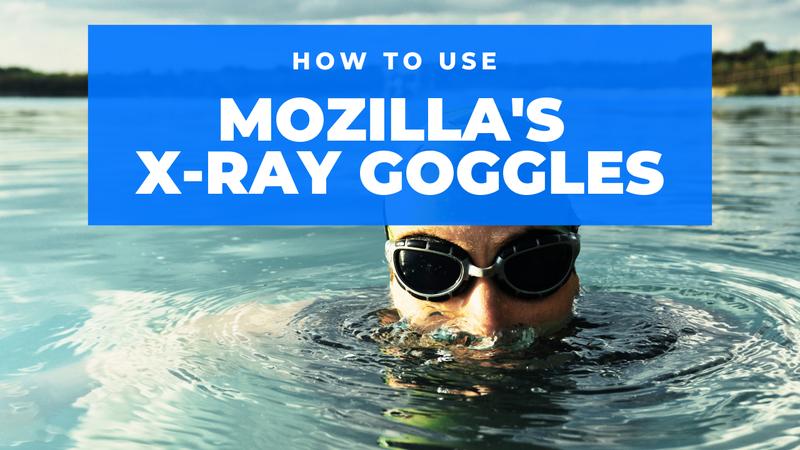 For the purposes of this post I am focusing on Weebly for Education. Weebly for Education gives you access to lots of great-looking design templates that are easy to customize. Weebly for Education sites support the inclusion of just about anything you might want to embed into them including Flipgrid grids and Padlet walls along with all of the standard things like pictures, videos, and audio files. What really makes Weebly for Education different from the consumer version of Weebly is the ability for teachers to create classroom accounts in which they manage their students' usernames and passwords. Through those accounts students can contribute to one classroom site and or develop their own individual sites. Students whose accounts are created by their teachers don't need to have email addresses. Here's my video overview of Weebly for Education. Google Sites is a convenient option for building a classroom website if your school uses G Suite for Education. You and your students can easily access Google Sites from your Google Drive dashboard or by going to Sites.Google.Com. Google Sites is a part of your G Suite account which makes it convenient and easy to display any file that you have stored in your Google Drive. The integration with your G Suite account also makes it easy to add Google Calendars to pages in your Google Sites. A common complaint about Google Sites is the lack of design flexibility (although it has improved of late). The other common complaint about Google Sites is that it can be finicky when it comes to trying to embed media that is not hosted on a Google service. Here's my short overview of how to get started with Google Sites. Bottom line: Google Sites is a convenient choice if your school already uses G Suite for Education. Otherwise, I favor Weebly for Education. Google Earth and Google Maps are two of my favorite educational technology tools that often are seen as only being useful for geography or history lessons. While they are good for lessons in those subjects, Google Earth and Google Maps can be used for lessons in other subject areas. 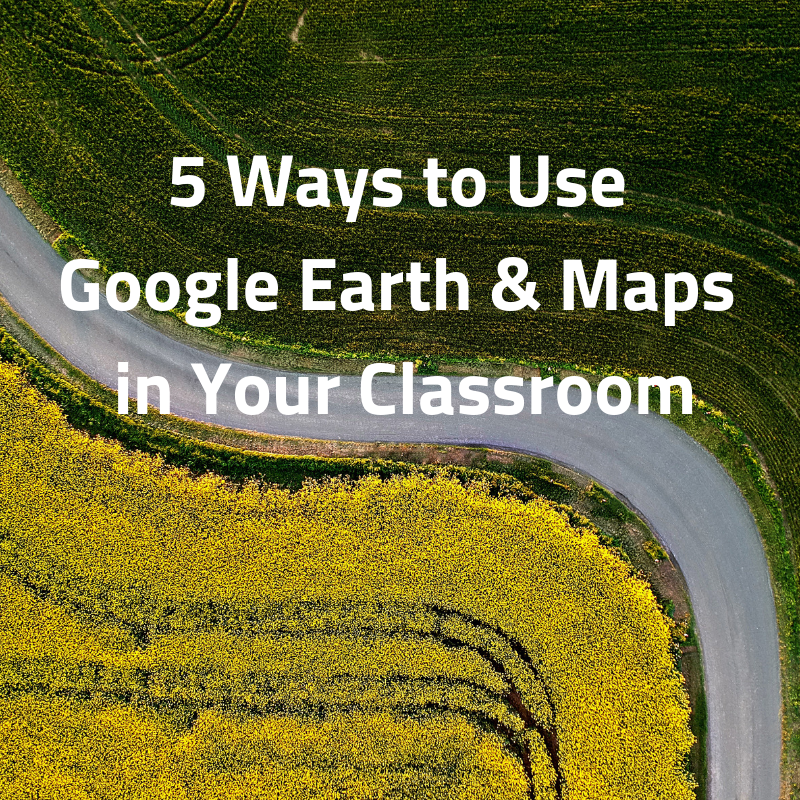 Here are some ideas and resources for using Google Earth and Google Maps in multiple subject areas. Google Lit Trips is probably the most popular example of using Google Earth in the context of language arts. Google Lit Trips are Google Earth tours based on books and authors. In Google Earth and on Google's My Maps services your students can create their own tours highlighting important places in a book or important places in the life of an author. Google Earth provides a great way for students to explore interesting geological landmarks in 3D. Using the timeslider in the desktop version of Google Earth can show students the changes in a landscape due to erosion and other natural and man-made forces. There is no shortage of lesson plans featuring Google Earth available online. Ac couple that I recommend looking at are Rich Treves' flooding and volcano lessons and What's a Watershed created at the Science Education Resource Center at Carleton College. For K-5 classrooms there is probably no better place to start than on Tom Barrett's Maths Maps site. There you will find short, Google Maps-based activities that require students to perform measurements and use arithmetic to answer questions. The activities represent a great combination of mathematics and geography. If you have middle school or high school students, you will want to explore Real World Math. On Real World Math you will find lesson plans that utilize Google Earth for teaching the concepts used in calculating volume of solids, timezones, and rocketry. Perhaps my favorite use of Google's My Maps is for planning safe walking, hiking, and biking routes. You can also use Google Earth to help students understand how elevation change alters the speed at which routes are completed. By using Google's My Maps tools or the desktop version of Google Earth, students can map the locations of where a piece of local art is housed, where it was created, and the places that inspired the artist. Each placemark on a student's map could include a picture of the artwork, a picture of the artist, and or a video about the art and artist. To provide a complete picture a student can include text and links to more information about the art and artist. For some inspiration on this topic take a look at Monet Was Here on Google Arts & Culture. I'll be providing detailed demonstrations of Google Earth and Google's My Maps tools in my upcoming Practical Ed Tech webinar, 5 Ways to Use Google Earth & Maps in Your Classroom.